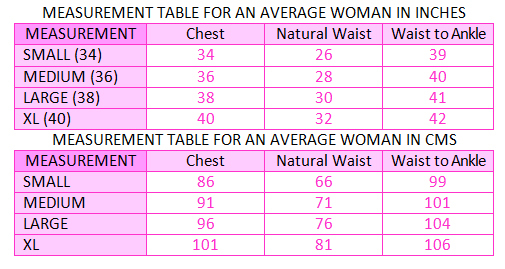 If you think the above table does not match with your measurement, you can customize your size in the table given below. 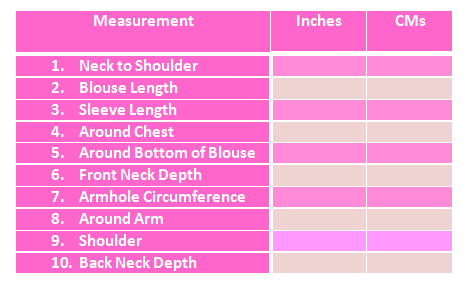 Please measure carefully and order the right size. Do not pull the tape too tight. You can see where to measure yourself in the following diagram. Note: If you want to add any other detail, please send it along with your customization form. 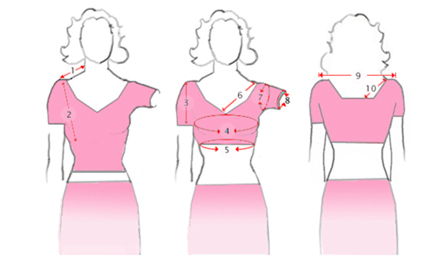 The lehenga and choli can be made ready according to your style subject to fabric limitation.